The way we think of car driving is that it’s bad for the environment but good for people and the economy, but a recent study suggests that as some point we hit “peak car,” and that the economy can actually grow after we hit it. This morning I decided to add some salt to my coffee by reading the UN’s IPCC report on climate change that dropped last night. The big takeaway for most people is that we’re basically screwed, mega-screwed, screwed sooner than we thought, unless our whole global economy changes over the next few years and everybody stops burning coal altogether. But I only care about cars, so I searched all the chapters of the report for “automobile” and on page 90 in chapter 4 of the report I came upon this interesting study out of Beijing, published earlier this year. “Beijing’s Peak Car Transition: Hope for Emerging Cities in the 1.5 °C Agenda” is the full title and you can read and download the full thing here. I’ll cut right to the interesting part. Since 2010, the amount that people have been driving in Beijing has gone down, but the economy in Beijing has been going up. It’s interesting that the economy getting better has become detached from people driving more. That is, if governments work to get people to drive less, it’s not a curse that will hurt them financially. At least, that’s how it’s gone in Beijing. The study notes that there are really two things going on. Not only did Beijing actively work to cut the amount that people drive from 2008-2010, it also worked to give them more alternatives at the same time. A fear of the consequences of China’s growing vehicle ownership on traffic and air quality led to dramatic restrictions on car ownership and use. 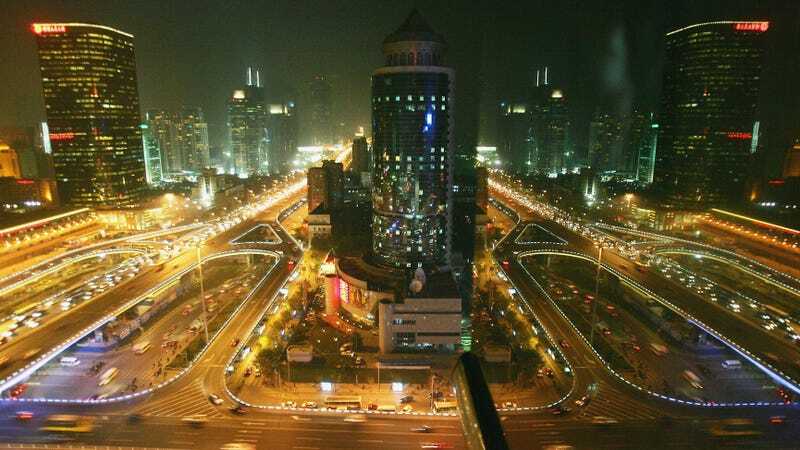 Beijing has rationed road space in 2008 to limit car travel and deployed an unpaid lottery system in 2010 to distribute license plates to public applicants to cap the number of new car registrations (BMCT, 2010). Besides these, the other Transportation Demand Management (TDM) policies like the termination of national pro-car policies designed to assist the economy during the global financial crisis (GFC) (Ministry of Finance, 2011a, 2011b, 2011c) have also accelerated the sharp drop in the growth rate of private car ownership (see Figure 2). There was just a 3% growth rate in 2011 compared to 2010 level of 23%﻿. Beijing operated its first metro line in 1969 and it took 33 years to complete two more lines (BJMBS, 2016). The Metro system in Beijing since then has undergone rapid﻿ development, starting with the 2008 Olympics with 3 new lines constructed from 2007 to 2008 and then continuous expansion until the present. The expansion of the Metro is clearly shown in Figure 5 below from 2 lines, 54 km of track and 469 million passengers a year in 2001 to 18 lines, 554 km of track and around 3,324 million passengers a year in 2015 (around 9 million passengers a day). Bus patronage share has declined as the rail system grew (see Figure 5). At the same time as investment in rail grew, there has been a reduction in the priority given to freeways and parking infrastructure for cars in Beijing despite continuous increase in economic capacity (see Figure 3) and traffic demand, both of which decline in per capita terms in the period leading up to the decline in per capita car use (see Figure 6). This is significant for any emerging city wanting to reduce its car use. This runs counter to how we all think of cars and driving, and how we’ve thought of them through basically the whole 20th century, particularly here in America. We imagine that the only way up economically is with a car, and if you want more economic growth, that means more cars and more driving. But you can actually cut down how much people drive, hit “peak car,” and the economy can still improve.